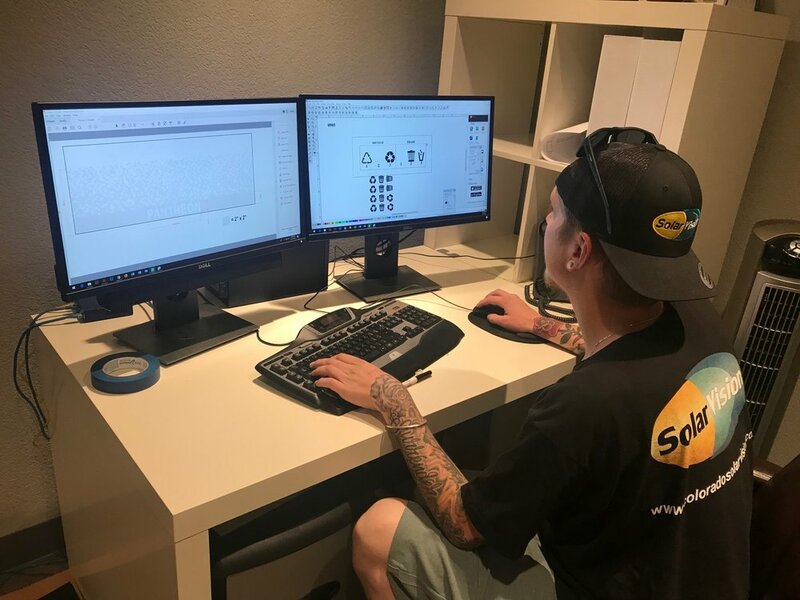 Did you know that Solar Vision Inc. produces most of our graphics in house? 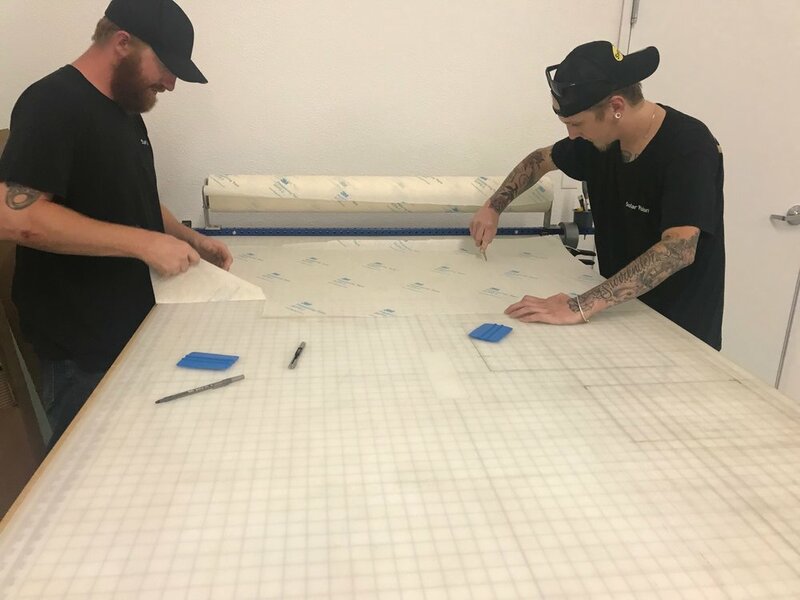 Relocating to our new 6000 SQFT space in Henderson, CO has made it even easier for us to design, produce, and install your business' graphics. Send us your ideas, and artwork, and we'll produce a proof for your review. Our in-house graphics plotter can turn your concepts and designs into actual artwork for your office or store. Our Graphic Artist and Install team can produce what you need in house. 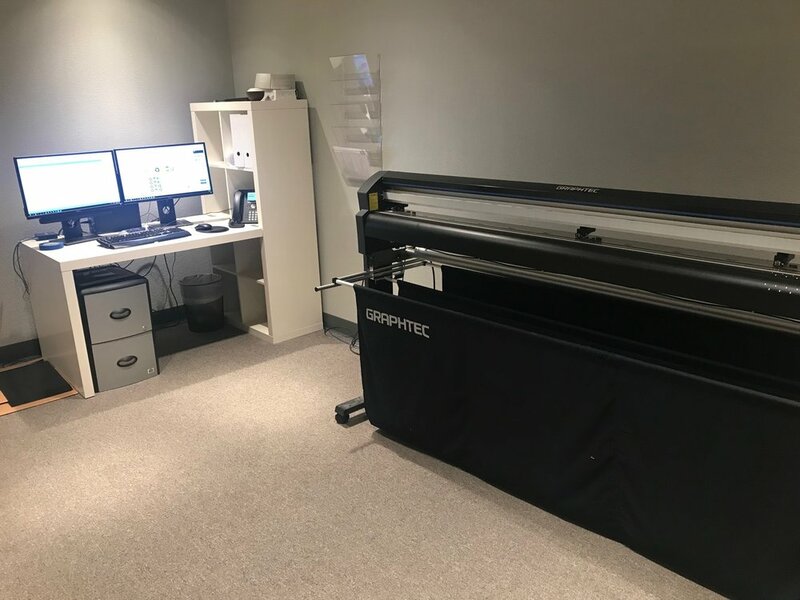 Making the turn around on your graphics installation quick, and efficient. One of many customer ideas designed, produced, and installed by Solar Vision Inc.
You probably didn't noticed but 3M™'s Dusted Crystal Window Film is all over town as it's one of the most versatile window films on the market. Using 3M™ Dusted Crystal alone can give your windows an etched look for a fraction of the cost of sand blasted glass, but aside from that, did you know you can print, and custom cut 3M™ Dusted Crystal too? Call Solar Vision Inc. today @ 303-862-6376 if you're looking to upgrade and customize your glass using 3M™ Dusted Crystal Window Film, or any of our 3M™ Window Film products.